When great-grandfather Luigi Guffanti, in 1876, began to season Gorgonzola cheese, his brilliant intuition was to purchase an abandoned silver mine in Valganna, in the Varese province. In the mine, with its temperature and humidity constant year-round, the cheese matured so well that Luigi quickly cornered the markets: his sons, Carlo and Mario, at the beginning of the 1900′s, exported as far as Argentina and California, lands of Piedmont and Lombard emigration. Maximum attention to the handcrafted quality of the cheeses and passionate care taken in the refinement process mark the proud Guffanti Fiori family tradition handed, down for five generations. At the origin of it all, an old abandoned silver mine, that at a certain point, began to produce another precious good, one derived from milk. 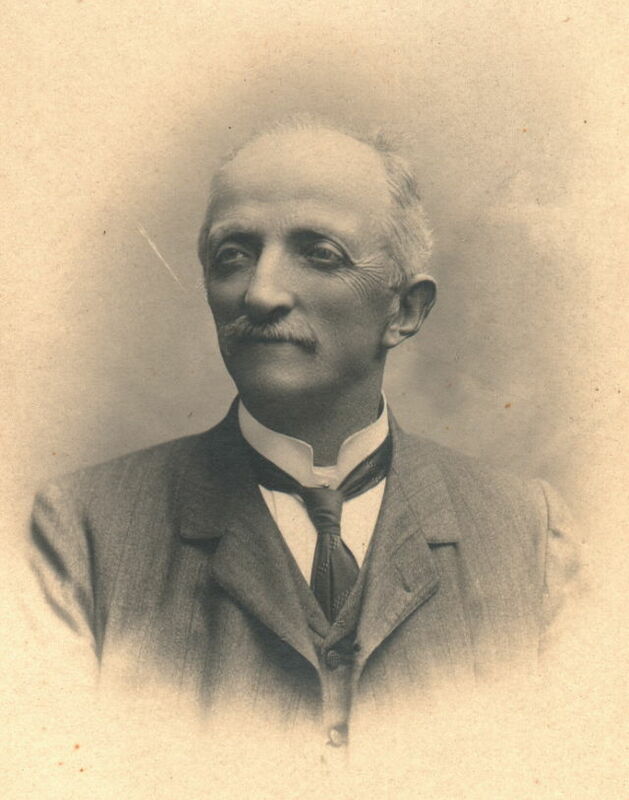 Carlo Guffanti Fiori and his sons Giovanni and Davide are responsible for the overall business management and delicate process of search and selection of cheeses. In this position dealing with all aspects of corporate life by harnessing the considerable wealth of knowledge and expertise developed over the years. The company thus becomes, gradually, the reference point of conscious consumers in search of the typical in the world of artisanal cheeses, in an area that embraces today increasingly vastItaly, part of Europe and non-European realities (USA, Hong Kong, Japan, Australia and New Zealand, but more recently India and UAE). It can be said that a company like Guffanti is today, on the stage of Italian as a small but fierce ambassador of our traditions and specificity of our craft. This result is mainly attributable to the witness that is daily yield in terms of enthusiasm and attachment to the world of small production even beyond the simple economic self-interest. This “passion” is the real weapon of marketing Guffanti in a world of tense to the large numbers and to the competitiveness exasperated even to the detriment of the characteristics of the products. It is for these reasons that Carlo and Giovanni Guffanti Fiori are often called upon to give their testimony in radio and television programs aired on national networks or in articles and surveys in the national press, specialist or not, or to hold seminars on the cheese in environments great professional qualification (for example, turned to foreign chefs who come to learn in Italian), or even becomes recipient of awards from those who celebrated the world’s traditions. In this regard, it must be said that, at the end of 1999, Carlo Fiori was called to be part of the prestigious “CONFRERIE des Chevaliers du TASTE FROMAGE DEFRANCE”, by acquiring later (2002) the degree of Grand Officer. Also in 2002, was quoted in “DICTIONNAIRE DES FROMAGES FRANçAIS” of the legendary Pierre Androuet as a point of reference forItalywith regard to the field of cheese refiners. In addition to making an active part ONAF (National Organization of cheese tasters “) and dell’ANFOSC (” National Association of cheeses under heaven “), it is also too” little face RADIANT “as part of the artisans of taste selected by wine journalist Paul Massobrio, as it is often quoted in publications, books, newspapers, magazines by those who divulges the world of dairy products of high specificity. 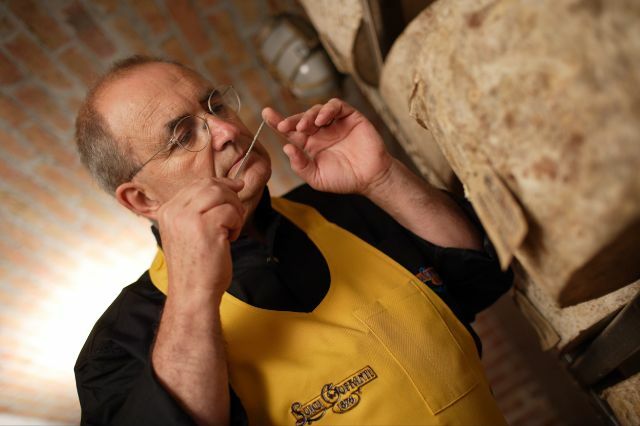 Carlo Fiori Guffanti is also member of the “Guilde Internationale de Fromagers” and of the “Confraternita di San Lucio” (Italy). He is often called to judge at various cheese contests in the world. It was also (1999) inspiring / consultant of the publication “ITALIAN CHEESE” (Eos Publishing), the first true photographic repertoire, as well as technical, the entire panorama of Italian cheese. A new version of this book has been released in 2016, in occasion of 140th anniversary of “Luigi Guffanti”. In 2000, Carlo and Giovanni Fiori Guffanti have made an album educational (in Italian and in English) “The history of cheese” (coloring). In 2004, Giovanni Fiori was Guffanti author, with Carlo Vischi, the photographic book “Italian cheese”, published by Gribaudo. Since 2004, Carlo Fiori holds a book on “CASEUS”, the main Italian magazine dedicated to the world of traditional cheeses. In 2007 he appeared, only “fromager” Italian in the film-television documentary “Ce fromages qu’on assassine” by Joel Santoni and Jean-Carles Deniau, which premiered inParis December 5, 2007 and aired on France3 December 26, 2007.